Enjoy the latest look—without adding layers. Our Double Layer T-Shirt gives you twice the style and comfort for the price of just one shirt. 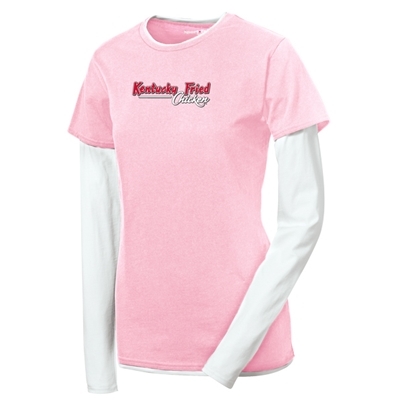 White long sleeves neck and hem add to the sporty feel and help make your logo pop.